Congrats to #13 seed Vanderbilt, your 2014 College World Series champ (following UCLA, who won the 2013 CWS as covered here last year). This is our final College post of the year. Lastly we reviewed the group play in the CWS itself prior to the final being set. In Game One on 6/23/14, UVA’s All-American starter Nathan Kirby blew up in the third inning, walking in three runs en route to a NINE run inning, which held up for Vanderbilt as they won 9-8. Kirby said that he just lost his release point, leading to a pretty uncharacteristic outing. This is not good news for UVA, who thought for sure they’d win a matchup of their #1 All-American versus Vanderbilt’s 3rd starter Walker Buehler. Sure enough, UVA got to Buehler for 2 runs in the first and 5 runs before knocking him out, but they just couldn’t overcome the large deficit. Buehler’s no slouch; the sophomore went 12-2 on the season and throws an easy 95 and likely is a top draft pick next year, so it isn’t as if UVA faced the scrubs. But their work is cut out for them now. In Game two on 6/24/14, UVA got a bounce-back performance from #2 starter Brandon Waddell, who pitched a complete game giving up 2 runs on 5 hits to lead the Cavaliers to a 7-2 victory to force the deciding game. Vanderbilt’s #2 starter, supplanted Ace and 2014 first rounder Tyler Beede pitched well for 5 innings, but got knocked around in the 7th to give up what turned out to be the go ahead runs and took the loss. UVA continued to show why Baseball America pundits thought they were the “most complete” team in the college post season, coming at teams with both superior pitching AND superior hitting. 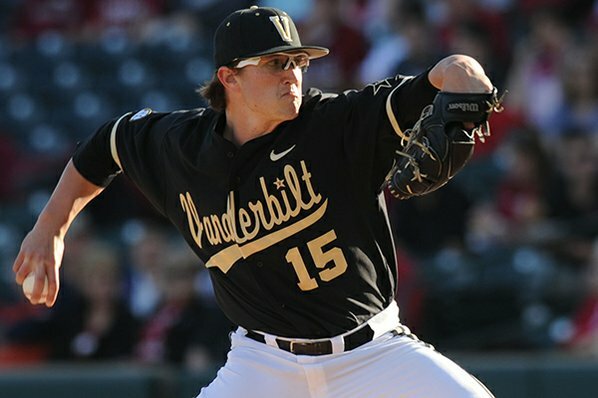 In the deciding Game 3 on 6/25/14, UVA’s Josh Sborz (of McLean HS, where he had a stellar prep career and collected every available “player of the year” award his senior year) faced off against Vanderbilt’s ace Carson Fuller, going on short rest after pitching the play-in game for Vanderbilt just 4 days ago. Sborz was wild early and got yanked in the first, leaving mid-week starter Artie Lewicki with the ball. All Lewicki did was throw 6 innings of 4 hit ball, giving up one unearned run (Lewikie didn’t give up an earned run in 23 IP this CWS; wow). UVA got the ball into their closer’s hand in a tie ball game in the 8th (first rounder Nick Howard) and he gave up an unlikely homer (just the third of the entire CWS) to prove to be the game winner for Vanderbilt 3-2. UVA loaded the bases in the 8th but couldn’t push a run across against Vandy’s bullpen, and they closed it out. Heartbreak for UVA, who may not have a better combination of hitting (6 hitters drafted) and pitching (led by an All-American sophomore) for quite a while. Congrats to Vanderbilt for coming out on top. d1baseball.com is the best source for anyone following the game. Garcia just couldn’t ever make it back. Photo unknown credit. Quick thoughts on the two major pitching-related transactions this week. Nats finally cut the cord on Christian Garcia, after attempting to nurse him back to health for most of the past few years. 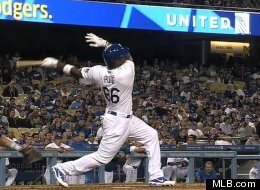 They got moments of brilliance (the 2012 playoffs basically), but mostly they got frustrated promises of future utility. There were more than a few arguments in this space even as late as this spring from people who thought Garcia was going to break camp with the team thanks to his grand total of 12 2/3 MLB innings, merely on the promise of what he could become. 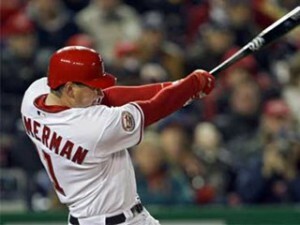 I hope someone picks him back up and gives him another shot (maybe the Yankees, his original drafting team?). One small nit: I can see perhaps DFAing the guy to make room on the 40-man; why bother outright releasing him at this point? What harm would there be in keeping him in Syracuse to see if he gets it back? Taylor Hill, who I thought would be lucky to start in AA this year, let alone dominate AAA has he has (9-2, 1.92 ERA), gets added to the 40-man and called up. I say bravo to him and bravo to the Nats for rewarding a guy who didn’t appear on *any* prospect list for the Nationals, anywhere. This guy was a *senior* sign, a 6th round cost-savings draft pick in 2011, a guy who probably signed for a few thousand dollars and whose ceiling of expectations was perhaps two good years in A-ball eating innings before getting released for the next crop of draftees. Hill may only be up with the team for a couple of days to give some bullpen innings, but now he’s on the 40-man, where he’ll likely sit for quite a while. Maybe he even pushes for a 5th starter spot sometime in the future. Lets hope Hill gets some time tonight or in the next series so we can do a “first look” post. 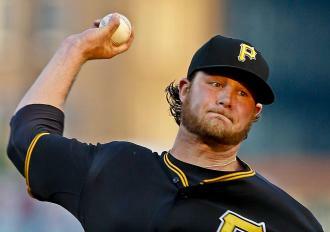 Gerrit Cole won the latest installment of #1 versus #1 overall drafted pitchers. AP Photo via sporting news. I saw a cool stat while idly watching a Nats-Pittsburgh game a few weeks back. The match-up between Stephen Strasburg and Gerrit Cole was the 11th time ever that #1 overall picks faced each other in baseball history. What a great stat. So naturally I wanted to look up the other ten. I was hoping that I could find this data in the Baseball Reference Play Index, but couldn’t find it, so I went with a “brute force” method of finding the 11 matchups by scouring b-r.com’s play index data for each of the handful of pitchers entire career game logs. The draft has existed since 1965. In that time just 17 pitchers have been drafted #1 overall (including this year), and a few of them barely had careers. Thus the rarity of this occurence. While researching this article, I found myself looking more closely at all seventeen #1 overall picks, but moved that to a subsequent post, so look out for that in the future. 11th: Stephen Strasburg vs Gerrit Cole 5/24/14: Strasburg gives up 3 in 7 while Cole gives up 2 in 6 and gets the win. Pittsburgh d Washington 3-2. 10th: David Price vs Luke Hochevar 8/21/12. Seven years have passed since the last 1/1 matchup by this time. Here, both pitchers threw 8 shutout innings (Hochevar giving up just 1 hit) and Kansas City prevailed by getting a run in the 10th. This game was likely the greatest game Hochevar ever pitched (game score of 87), slightly better than a 3-hit shutout he had in 2009. Hochevar was pretty-well awful as a starter for years with Kansas City but transformed himself into a great middle reliever in 2013; he suffered a blown elbow and had Tommy John surgery in March. 9th: Kris Benson vs Paul Wilson 5/16/05: Nearly a decade has passed since we had a #1 vs #1 matchup. Here, neither guy was pitching terribly well in 2005, but Benson got the better of Wilson on the day. Benson gave up just 2 runs in 7+ innings while Wilson got beat around for 7 runs in 5 1/3. After the game, Wilson hit the disabled list and eventually had shoulder surgery for labrum and rotator cuff issues, which cost him the rest of 2005 and all of 2006, and he never appeared in another game. So Wilson’s last ever MLB appearance was his sole #1 versus #1 matchup. 8th: Ben McDonald vs Tim Belcher 6/27/96: McDonald was enjoying a nice bounce-back season after leaving his original team (Baltimore), and threw a nifty 7ip/3hit/1 run performance to beat Belcher’s Royals. 7th: Ben McDonald vs Tim Belcher 4/11/94: McDonald was off to a great start for Baltimore, while Belcher was not for Kansas City. Odd how these two guys both met up again, both with new different teams. McDonald again threw 7+ innings of 2 run ball to beat Belcher on the day. 6th: Ben McDonald vs Mike Moore 9/2/92: Their second meeting in two weeks, McDonald threw 6 innings but Moore threw 9 innings of 1 run ball; the game was won in the 10th by Baltimore. 5th: Ben McDonald vs Mike Moore 8/23/92: Moore again got the better of McDonald, who gave up 6 in 6 for the loss. 4th: Andy Benes vs Tim Belcher 4/8/92: Benes got the better of Belcher on the day, though both pitched well. 3rd: Ben McDonald vs Mike Moore 5/7/91: McDonald hit hard early and Moore gets a win over his fellow #1 overall pick. 2nd: Mike Moore vs Floyd Bannister 6/24/1988. Moore pitched a 4-hit shutout to beat Bannister and the Royals in a rematch of their first 1-1 meeting four years prior. Bannister gave up 7 runs (4 earned) in 3 2/3’s innings to get knocked out in the first ever matchup of former #1 overall picks. 1st: Mike Moore vs Floyd Bannister 6/27/84: The first ever meeting between #1 overall picks took nearly 20 years to occur, thanks to just a couple of pitchers being taken first overall in the first two decades of the draft and thanks to bad timing. This meeting was nothing to write home about though; neither guy pitched that badly, but neither figured in the decision after each gave up 3-4 runs in 5 innings. Mike Moore appeared in 5 of the 11 one-vs-one matchups and his teams were 4-1 in these five games. Bannister’s teams went 1-1 in his two appearances. Ben McDonald also appeared in 5 of the 11 one-vs-one games and his teams went 3-2 in the games. Belcher’s 3 games all resulted in losses for his team, despite (arguably) Belcher having the most accomplished career of any #1 overall drafted pitcher. There’s only been 3 such meetings in the last 20 years, all featuring more recently drafted pitchers. Kris Benson vs Andy Benes 7/20/02: Benson got the start and the win while Benes pitched 3 innings of mop-up duty as St. Louis fell behind by 10 runs. Tim Belcher vs Matt Anderson 9/7/00: Belcher got the start and the win with 6ip/3er, while Anderson pitched the last out of the 8th for the losing team. Tim Belcher vs Matt Anderson 7/14/98: Belcher got the start and got blasted; Anderson pitched the 7th and got a hold. Mike Moore vs Floyd Bannister 6/12/92. Moore got punched out of the box early and Bannister picked up the victory by pitching the 14th inning. Ben McDonald vs Floyd Bannister 5/17/91: McDonald started and pitched a complete game win while Bannister relieved the losing starter in the 5th. Mike Moore vs Floyd Bannister 4/17/91. By this time in their careers, Bannister was relegated to the bullpen, but they did “face” each other in this game. Moore threw 7 innings of 1-run ball for the victory. Just for completion sake, who are the 6 pitchers not mentioned already who were picked #1? That would be 2014’s Brady Aiken, 2013’s Mark Appel (neither of which has appeared in a major league game yet, obviously), along with Bryan Bullington (who bounced around the league for a few years but never matched up with any of his fellow draft picks), Brien Taylor (the 1991 #1 overall pick who never made it above A-ball), and David Clyde (who was the first pitcher to go #1 overall but didn’t last long enough to get any matchups with subsequent picks). Stay tuned for a look at all seventeen of these guys, their stories and their careers in a future post. Now we’re to the last of the local state tournaments; the Virginia State finals, which took place this past weekend at various locations around the state. The finalists in all Virginia regionals qualified for the “final four” in each classification. Here’s what we’re looking at by Virginia classification (all VHSL conference and regional playoff brackets here, and the State playoffs ( final four brackets are here). Before getting to the tournament results, it is of note that the Washington Post released its All-Met teams for the year, and most of the first and second team players have been mentioned in this blog here and there for their leadership on championship teams across the local region. All Met player of the year should be no surprise: Jacob Bukauskus, who was also one of three local players named to the Louisville Slugger All-American teams. Bukauskas, Cody Morris of the Maryland 3-A champion Reservoir and WCAC/DCSAA champion St. John’s A.J. Lee were named to the first and/or second all-american teams. Other local accolades announced: the 5-A North All-Region team. In each state semi-final each regional winner plays the runner-up from the other regional. These games are set for Friday June 13th with the state championships the following day (except when rain pushed games to sunday 6/15). The 6-A and 5-A tournaments are being played in Northern Virginia (at Lake Braddock and Robinson). 4-A and 3-A is being played at Liberty University. And 2-A/1-A is being played in Salem and at Radford University. 6-A State Bracket. My prediction was a 6-A South regional final rematch between Virginia’s two nationally recognized powers with Cosby getting revenge for their 6-A south regional loss. 6-A State Finals Results: In the first 6-A semi, McLean pushed nationally ranked Western Branch but ended up losing 5-4. In the second 6-A semi, Chantilly pulled off a stunner and beat Cosby 3-2, beating 32nd round pick and UNC commit Hunter Williams behind a complete game from Eason Recto (committed to Cornell). In the 6/15 final, Chantilly once again punched above their weight and scared a tougher team, but in the end lost 6-4 to Western Branch. 6-A State champ: Western Branch (Chesapeake) with a 26-2 record on the season. 5-A State Bracket. My 5-A prediction was seeing Freeman riding roughshod over the Bukauskas-less Stone Bridge team in the final. 5-A State Finals Results: In one semi, Freeman pounded the over-matched Freedom team 7-0 while Hickory blitzed Stone Bridge 9-1 behind junior Connor Eason‘s gem (early UVA commit), setting up an all 5-A south final. In the 6/15/14 5-A final, Hickory got revenge against Freeman and took their first state title by outlasting Freeman 6-4 in 10 innings. Hickory, fyi, is the alma mater of Mets 3rd baseman David Wright and veteran utilityman Scott Sizemore. 5-A State champ: Hickory (Chesapeake) with an 19-7 record. 4-A State Bracket: My 4-A Prediction: Hanover blitzes their way to a repeat state title over Winchester’s Millbrook squad and leaves people wondering if they could have won the larger classifications as well. 4-A Results: Sure enough, the two regional champions both advanced easily to the 4-A final, with Millbrook defeating Grafton 10-3 and Hanover defeating Sherando 6-2. In the 6/14 final, Hanover’s Derek Casey made quick work of Millbrook, capping off an undefeated prep career (27-0) with Hanover winning its second consecutive state title 7-1. 3-A: Regional Champs LoudounValley, Tunstall and runner-ups Poquoson, William Byrd. Uneducated prediction: Loudoun Valley wins the title. In the semis, Loudoun Valley squeaked by William Byrd 3-1, setting up a 3-A East rematch with Poquoson, who downed Tunstall. In the final, Loudoun Valley won their first baseball title since 1972 with a 9-1 blitzing of regional foe Poquoson behind a complete game 4-hitter from Jack DeGroat. Loudoun Valley finishes the year 25-3. 2-A: Regional Champs Strasburg, Virginia High and runner-ups Madison County, Randolph-Henry. Uneducated prediction: Strasburg wins the title. Results: Virginia High advanced to the final behind a no-hitter from Austin Miles and a blitzing 12-0 over Madison County. Meanwhile Strasburg advanced by beating Randolph-Henry 6-1. In the 2-A final, Virginia High won its first state title since 1966 by beating Strasburg 7-2. Virginia High finishes the year 25-4. 1-A: Regional Champs Northumberland, Honaker and runner-ups William Campbell, Auburn. Uneducated prediction: Honaker wins the title. Results: the two regional champs advanced easily to the state final, where Northumberland easily beat the previously undefeated Honaker 9-3 for the state title. Northumberland finishes the year 23-2. 6-A: Western Branch (Chesapeake) d Chantilly 6-4. 5-A: Hickory (Chesapeake) d Douglas Freeman (Richmond) 6-4. 4-A: Hanover (Mechanicsville/Richmond) d Millbrook (Winchester) 7-1. 3-A: Loudoun Valley (Purceville) d Poquoson (Newport News) 9-1. 2-A: Virginia High (Bristol) d Strasburg 7-2. A good year for Chesapeake Schools, who took both the biggest classification titles. Hanover out of Richmond “defends” its state title, though in the 4-A classification, leading many to wonder if they could have competed in the higher classifications. The best performance by a local team remains Purceville’s Loudoun Valley, winning the state 3-A title. With apologies of course to Chantilly, who surprised this observer by knocking off Cosby prior to pushing Western Branch despite hits un-lofty record. I think its safe to say we’re all bummed that Bukauskas couldn’t finish out the year; I would have liked to have seen him against the two down-state 5-A powerhouses. 2013: Hanover d Great Bridge. Hanover’s super-junior Derek Casey (committed to UVA) outlasts Great Bridge and their 1st round talent Connor Jones (now attending UVA after spurning a likely late 1st round draft position). DC Local teams Lake Braddock and Oakton beaten in the semis. 2012: Lake Braddock d Kellam 4-0. Lake Braddock lost to West Springfield in the regional title game but then ran to a state championship. Complete history of Virginia HS Champions: from VHSL’s website. Covers all sports. 4-A Champion: Chesapeake beat Sherwood 2-0. 3-A Champion: Reservoir beat North Harford 2-0. 2-A Champion: Southern beat Parkside 3-2. All private leagues in the DC, VA and MD areas are complete at this point. See previous posts in this series for more detail. WCAC: St. Johns over O’Connell. MAC: Flint Hill regular season champ. VISAA: Division I: Liberty Christian (Lynchburg) over Charlottesville’s St. Anne’s-Belfield. MaxPreps top 25/top 50 lists (5/22/14), which has a hand-picked and a computer/power ranking list. Hampton Roads Pilot (Hampton Roads) has scores for teams in the Chesapeake/Norfolk/Va Beach area. They also have their own top-10 rankings for area teams. As we did last year, here’s a quick introduction to the Nats top 10 picks for 2014. A quick glance on our high-end draftees from 2014 draft. I’ll put in the rankings from several prospect ranking shops (Keith Law, Baseball America, MLB.com and MinorLeagueBall). overall player ranking after the player name where appropriate (though as we’ll see, Keith’s top 100 quickly runs out of names). Here’s a link to the draft order, and here’s a link to MLB.com’s fantastic draft tracker database for reference. As he did last year, NatsGM.com‘s Ryan Sullivan is live-blogging and does a great job of pulling up stats on each of our picks. I depend on his reports as well as those from the four links above to give a quick overview of our draftees. Note: I wrote most of this over the weekend as the guys were picked; we’re already hearing plenty of rumors about signings. I havn’t updated this post with such intel but I’m sure its readily available from Ladson and Kilgore and the like. 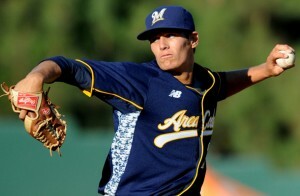 1st round/#18 overall: Erick Fedde, UNLV RHP (Law #27/BA #24/MLB #33/MinorLeagueBall #70). Most of the credible mock drafts had the Nats drafting Fedde here, and that’s exactly what happened. In my quickie preview post, I thought Fedde would be an overdraft and hoped that either Tyler Beede or Brandon Finnegan would drop. Well, Beede went 14th and Finnegan went 17th. I liked Touki Toussant as well as a prep HS that may drop to the Nats, but he went 16th. I’m not sure I agree with pundits who say that Fedde was a “top 10 talent” prior to his injury; I still think this is an overdraft on Fedde given the fact that he’s rehabbing a blown UCL. Look at the placement of Fedde on the four prospect ranking shops; that’s an awful lot of trust being placed into the hands of the surgeon, the rehab process, and the recovery. That being said, looking at the next several players picked, there wasn’t a name that really stood out as someone that I would have rather had who at the same time was a prototypical Mike Rizzo pick Maybe Connor Gillaspie would have worked (he went #20). Ryan Sullivan thinks we got a steal here; i’m not so sure. I think the Nats were looking at their board while the Giants were picking at #14, and then had their next best three names get snatched out from under them, leaving them taking a gamble on Fedde. On the player himself; Fedde is tall (6’4″) but *skinny* (listed at between 165 and 180), sits 91-93 and touched 95 with excellent movement. Secondary pitches can flatten out because of his lower arm slot, but he’s listed with a decent slider and decent change. ESPN thinks he projects a 65 fastball and a 60 slider but needs to work on his command. Very preliminary ceiling/projection is as a mid-rotation starter. 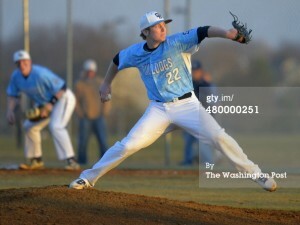 The thought is that he can fill out his frame and add velocity, though he’s done neither in his three college years. He’s a Scott Boras client, he was a HS teammate of Bryce Harper, and he’s rehabbing a torn UCL, so he fits in nicely with the Nats on several levels. It was easy to see why the mock drafts were all over the Nats taking Fedde. In reality, I’ll bet the war room was rather dejected watching the three a-forementioned pitchers drop off the board in the 4 preceding picks to #18. 2nd round/#57 overall: Andrew Suarez, LHP from U-Miami (Law out of top 100/BA #75/MLB #86/MinorLeagueBall #103). 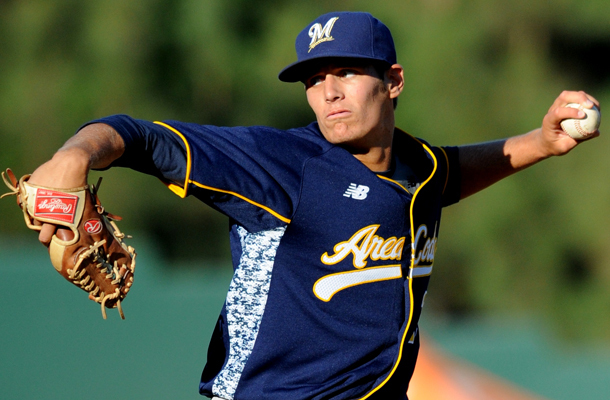 A re-draft (he was picked in the 9th round out of HS but chose to go to school), he suffered a torn labrum early in his college career but reportedly picked up velocity this past season and held it through most of the year. Law alludes to other medical issues that clearly had him down on Suarez (Law ranked him lowest of my 4 resources). He spent the year as Miami’s saturday starter (aka, their #2 starter). BA mentioned him in their draft preview specifically because of his fantastic control; he had just a 1.34 BB/9 rate despite throwing a low 90s fastball that can reach 95. 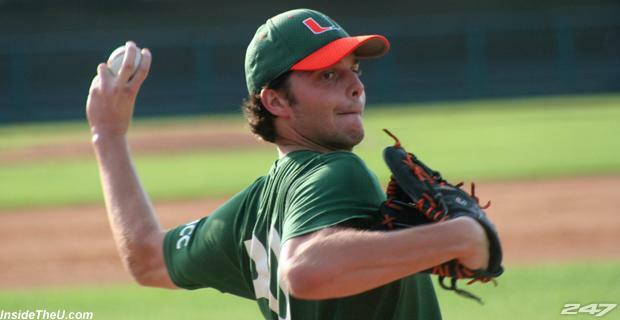 He pitched a shut-out in game 1 of the Coral Gables regional, a 7-hit, 10K, 0 walk outing that matched his career high; nice way to finish off your college career (Miami was elminated from CWS play before Suarez could throw again). Scouting reports say he profiles as a 4th starter. (Note: my fingers just automatically typed Luis Suarez, aka Liverpool and Uruguay’s striker. Part of me is in World Cup mode already). 3rd round/#93 overall: Jakson Reetz, prep Catcher from Nebraska (#38/#62/#40/#36). A prep catcher isn’t who you normally expect to see this high on the National’s draft results, but his pre-draft rankings show that he’s clearly a steal at the mid-3rd round. The question is; is he signable here? $567k is his bonus slot figure; he might be a tough sign unless the Nats have a pre-draft deal with Fedde to save some money for a guy like Reetz. His pedigree is good: MVP of the PG all-american game, member of the same world champion U-18 team that #1 overall pick Brady Aiken was on. In prep games he was showing 91 from the mound and reportedly has a great arm, but some scouting reports say he may struggle to stay behind the plate. As pointed out by NatsGM.com’s Ryan Sullivan, BA did a “day in the life” piece on Reetz that is worth checking out; once you watch this you’ll really like Reetz. Last note: Keith Law even likes the pick and says he’ll sign. 4th round/#124 overall: Robbie Dickie, juco RHP from Blinn college in Texas (na/210/179/173). 95-97 on the gun, led his team to the Juco World Series, but he may project as a reliever thanks to questionable mechanics. Quite a pop-up guy, but an over draft based on the rankings in the major publications. He’s committed to Texas State if he doesn’t sign, which isn’t exactly a baseball powerhouse, so is this a value/slot saving pick? 5th Round/ #154 overall: Drew Van Orden, a senior RHP from Duke (na/395/na/na). Good numbers on the year as Duke’s Friday starter (6-5, 3.19 ERA, more than a k/inning). He finished off his college career with a 5-hit complete game shutout over Georgia Tech in the ACC tournament, Duke’s only win in their post-season tournament. I like his pedigree despite the fact that he’s a senior 5th round pick with zero leverage. Who are the Nats saving all this money for? Update: Van Orden quickly signed, terms undisclosed. 6th Round/#184 overall: Austen Williams, junior RHP from Texas State ( na/#276/na/na). Nats clearly saw something in Williams that other draft pundits did not; even MinorLeagueBall (who ranked to 350) didn’t have him listed. Texas State’s friday starter continues a long trend of the Nats plucking talent out of Texas. Williams posted solid numbers as Texas State’s Friday starter (8-3, 3.65 era, good K/9 rates). I’m sure he’ll take a bit more than slot to sign, but the Nats should have some pennies saved. 7th Round/#214 overall: Dale (D.K.) Kerry, a senior Center fielder from the U of Miami (na/#332/na/#133). MLB’s scouting report on him says he’s a great athlete and he has a “4th outfielder” projection. Sounds like the perfect senior 7th round draft pick to me (sarcasm). Ryan Sullivan is more bullish on him than I. 8th Round/#244 overall: Jeff Gardner, senior corner OF from Louisville (na/498/na/na). He may be a senior, but he’s also the clean-up hitter for a CWS-bound team and had great stats on the year (.321/.403/.538 with 9 homers). Not a bad find for the 8th round. 9th Round/#274 overall: Austin Byler, junior 1B from Nevada (94/123/166/271). Well, now we see why the Nats are saving their pennies; getting Byler here is a find. He should have been taken in the 3rd or 4th round if you believe the pundits, and he may take an over-slot deal to buy him out of his senior year. He’s got serious power (he led his conference in homers and is an offensive threat) and would be a great find if he signs. 10th Round/#304 overall: Matthew Page, senior RF from Oklahoma Baptist (na/na/na/na). A d-2 pick for a team that a) loves guys from the south west already and b) has shown itself more than willing to gamble on non D-I players. I can’t imagine he’ll be expensive to sign. He’s also the first player the Nats have picked that didn’t appear anywhere on any of the draft previews. Summary: Through the first 10 rounds the Nats picked 5 pitchers and 5 hitters for good balance. Of these 10 players selected, 9 are college. So, in other words, this is exactly the type of draft we expect to see out of a Rizzo-run organization (with the possible exception of perhaps predicting a few more arms). Of these 10 draftees, I’d say that at least 5 are “expected under slot guys” (Dickie, Van Orden, Kerry, Gardner and Page). You have to think the team may play some slot hardball with Fedde. Suarez and Williams should sign for about slot. That leaves two guys who may take over-slot deals to sign; the sole HS draftee in Reetz and the decently ranked Byler. I’ll bet it works out and all 10 guys sign. At mlb.com, here’s a tracker of the top 10 rounds of signings with known bonus figures. MinorLeagueBall’s Matt Garrioch’s top 350 draft prospects. But more importantly his Mid-Atlantic draft preview, a great resource with home towns and college committments of all DC/MD/VA players. d1baseball.com as an entrypoint to get to any college’s statlines.